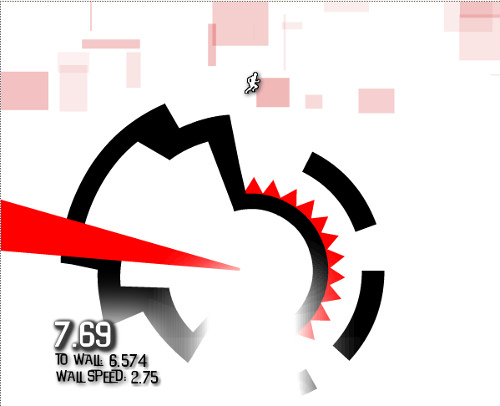 Description Use the WASD or arrow keys to rotate the level and run from the red wall of death chasing you. Avoid spikes, falls, and "trap doors" as you attempt to get the high score. Controls A: Move Left, D: Move Right, jump: up, W: Jump, movement: arrow.